The Boy Scouts in the 1910s were an idea, not an organization. There were Boy Scouts in America even before the Boy Scouts of America were founded, and there were many other Boy Scout groups that functioned totally independent of the Boy Scouts of America. The Boy Scouts of America, however, were dominant from the beginning, and by the end of the decade had essentially eliminated all competitors. Most famous among these groups were the American Boy Scouts. 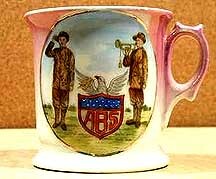 Founded in 1910, the American Boy Scouts were a thorn in the side of the Boy Scouts of America. The American Boy Scouts were a military group that drilled with rifles, and in this respect they were organized along the lines of a military school. It was the American Boy Scouts that inspired so many of the military Boy Scout toys. Although military schools were quite popular in the 1910s, there were many who disapproved of such military activity for children. Unfortunately for the Boy Scouts of America, many people thought the two groups were actually only one group and that all Boy Scouts were militaristic. In response to complaints from the Boy Scouts of America about the bad and erroneous publicity, the American Boy Scouts changed their name to the United States Boy Scouts around 1916 to help dispel the confusion. Unsatisfied, the Boy Scouts of America sued the group in 1917 and won. In its opinion, the court recognized the Boy Scout's of America's rights to the words "Boy Scout" and sealed the fate of the United States Boy Scouts and the many companies who had been producing "Boy Scout" products. American Boy Scouts statute, circa 1910. 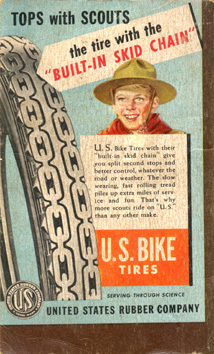 American Boy Scouts and United States Boy Scouts buttons, circa early to middle 1910s. 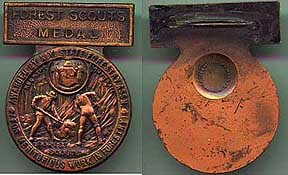 United States Boy Scouts medal, circa middle 1910s. The founder of the Boy Scouts of America, W. D. Boyce, grew dissatisfied with the group very early in the decade and left the movement. In 1915, he started another group intended for boys who lived in isolation and could not join Boy Scout troops. This group, called the Lone Scouts of America, was unified solely by means of publications, most notably a weekly paper called "Lone Scout" that was filled with stories and recommended projects. The group was extrememly successful, and ultimately merged with the Boy Scouts of America in the early 1920s. 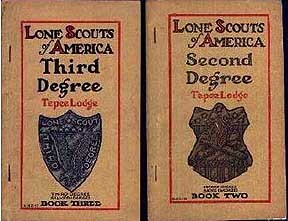 Lone Scouts of America second, third, sixth and seventh degree booklets. 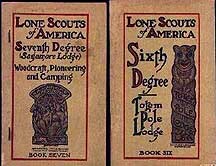 Lone Scouts of America membership card, 1915. In response to a rash of devestating fires in the late nineteenth and early twentieth centuries, the State of Michigan established a group of Boy Scouts called the Michigan Forest Scouts in 1912. A similar group, with nearly identical badges, was later established in the State of New York. The purpose of these organizations was not character building, as it was with the Boy Scouts of America, and there were no ranks or merit badges. Instead, the Forest Scouts were charged with protecting the state's forests, and as a result were considered auxilery fire wardens. 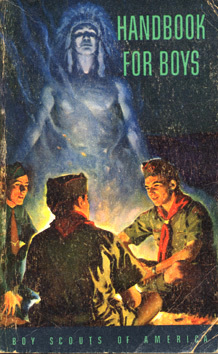 Although the Boy Scouts of America typically disapproved of such groups, it was not so with the Forest Scouts. In one of the Boy Scouts of America's annual reports, they are mentioned with approval and a note is made that the groups are headed up by Boy Scout men and that the Forest Scouts and the Boy Scouts of America are "closely affiliated." New York Forest Scouts medal, circa early to middle 1910s. The Life Saving Scouts were established by the Salvation Army in 1913, and persisted into the 1930s. 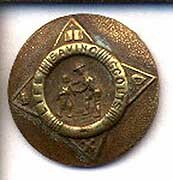 Life Saving Scouts badge, circa 1910s-1930s. The Rhode Island Boy Scouts were another very early group. The group is most famous because it was one of its members - a boy named Joseph Lane - who started the magazine "Boy's Life" in 1911. The magazine, which came out bi-monthly, soon was being sold to Scouts all over America. 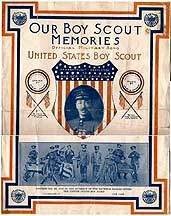 It became so popular that when the Boy Scouts of America decided in 1912 that they would like to have a magazine for boys, they bought "Boys' Life" and made it their official publication. 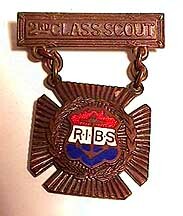 Rhode Island Boy Scouts second class badge, early 1910s.